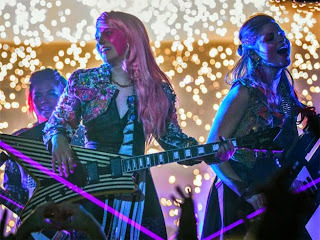 The original cartoon was about a record executive who had a secret identity as a pop star named Jem, who was a holographic creation of a computer AI called Synergy. 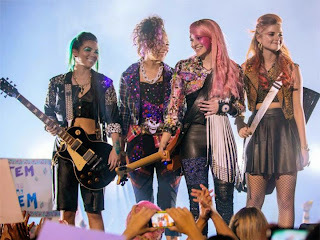 Jem and the Holograms had adventures and came into conflict each week with their rival band, a group of bad girls called The Misfits. That’s the show in a nutshell. So no Synergy, no Misfits, and the Holograms is just a name. 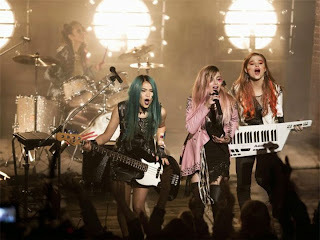 Unfortunately, it seems like a generic Disney Channel Camp Rock-style movie that bears little resemblance to the cartoons or toys they are based on. 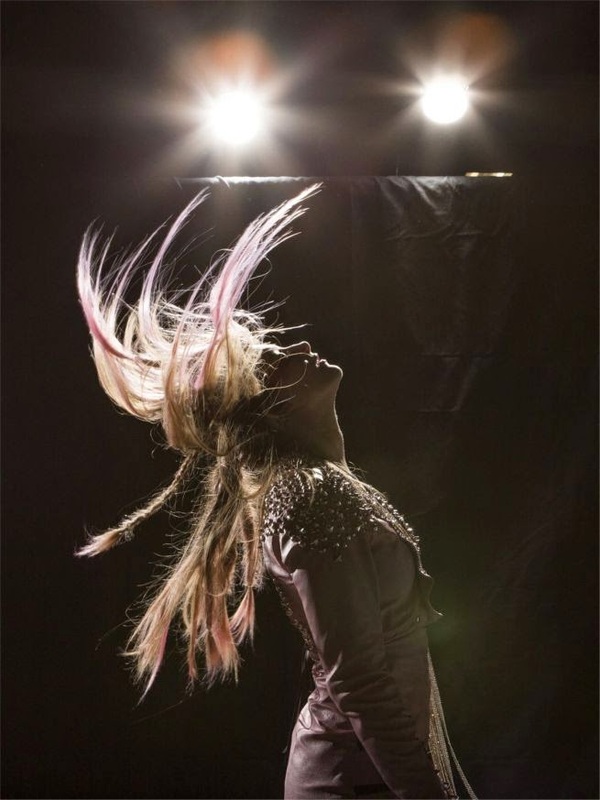 Luckily, there is a modern update of Jem from IDW comics out right now from Kelly Thompson and Sophie Campbell that takes the original concepts and updates them for today in fresh, fun way. If you loved Jem growing up, definitely read those. 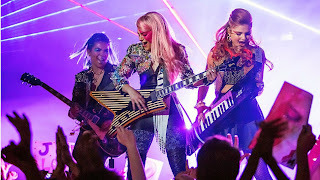 In the meantime, check out the gallery below for images from the Jem movie, but just be sure to keep your expectations in check. Watch the first official trailer of "Jem and the Holograms"
Well, the Live action film might not be the same thing as the retro-cartoon that we loved but we'll see. 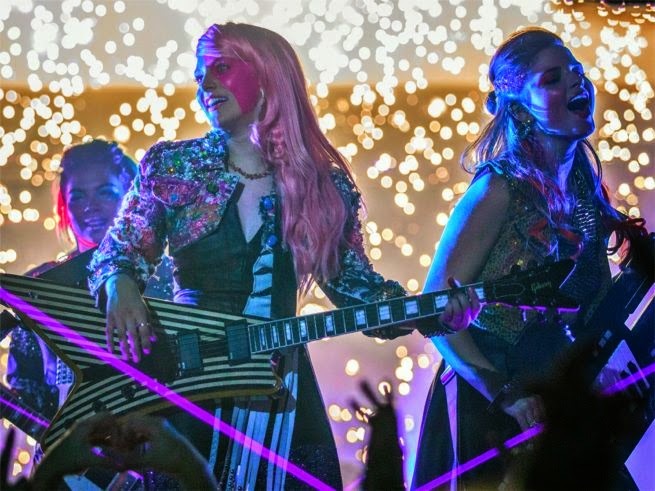 Here's a clip from the original "Jem and the Hologram animated series"